October is Halloween and a spooky month! My offering is Cardinal Desires, a vampire paranormal romance, from Double Dragon Publishing. Available on the web site is an excerpt. The book is also available on Amazon. How can Katy McCaully resist Sterling Fox? In her early teens, she fell in love with a thirteenth century warrior in a painting, and Sterling is the image of that Novgorodian knight. He definitely has the keys to her chemistry set, but she mustn’t succumb to his charms. She’s a forensic psychiatrist working with Scotland Yard. He’s a high-profile journalist who invades the underworld for a story or broadcasts live at the scene of the world’s worst tragedies. Police and media do not mix. They are both trying to capture the animalistic killer the newspapers have dubbed the Vampire Slayer. Modern London doesn’t know that the Slayer has also killed four vampires. Give the book a glance, and you won’t be sorry! To celebrate, I’m giving away one download of the book to a commenter on this blog! 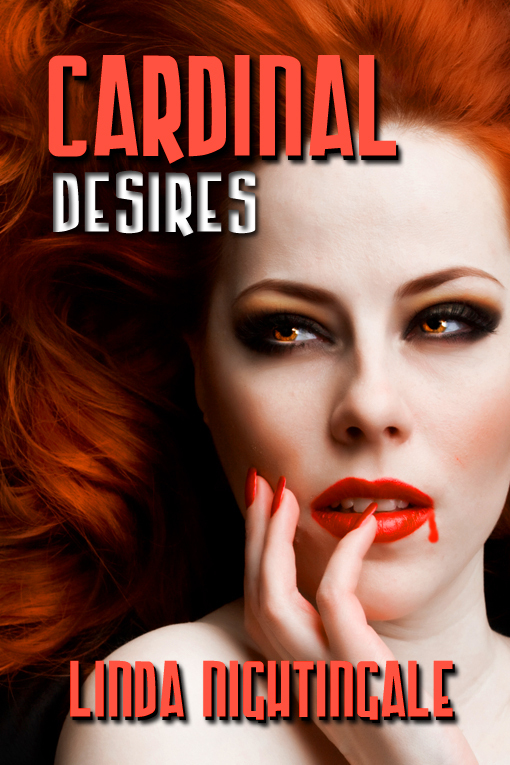 NEWS FLASH: Cardinal Desires is now available in print from Lulu.com. 31 Days of Halloween hop starts tomorrow! My offering is a flash fiction Halloween story. The tower clock struck midnight. Ravenwood tensed, glanced over her shoulder at the Sanctuary. No lights shone in the mullioned windows. 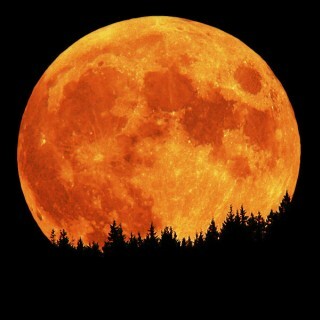 The Masters mustn’t catch her out alone at night. Her reputation at the school had suffered for her sister’s sin. She lit the torch, black smoke billowing from the flame. A darkling shiver crawled down her rigid spine. The voices that had roused her from sleep whispered a warning as she crept into the abandoned barn. A lonely owl hooted from the rafters, ruffling its feathers and blinking. Red light winked in the bird’s golden eyes. She swallowed hard, straining her ears for any sound. Like a chill, the eerie stillness oozed over her. Ravenwood had come to say her last goodbye to her sister. Tonight, Alethea slept the peace of the dead in this old outbuilding. Tomorrow, she would be lowered into unhallowed ground. Then only god knew what the fate of a demon’s consort would be. Her breathing rasped loud, puffing white clouds in the October air. She inched deeper into the gloom, shoved the hood of her robe back so that she could see from the corners of her eyes. A web caught in her hair, clung to her face. Another hard shudder coursed through her, and gooseflesh prickled her limbs. Nausea swirled in her stomach. Frantically, she swiped the crusty fly stuck in the web and the disgusting stickiness from her skin. A shadow moved along the rotted wood pile. A mouse squeaked, scurried out and scampered away. The shade loomed larger, distorted in the flickering light. She flinched back a step. With a shaking hand, she clutched the crucifix around her neck. The shadow crossed the pitchfork, fell on the coffin. The creature with hellfire eyes passed a hand with long, vicious claws over the coffin. From inside, came a soft scratching then the lid rattled, an urgent pounding echoing in the ruined barn. A malicious grin split the monstrous face. “Come my pretty,” and with the rasp of claws, he ripped the lid off the pine coffin. Her dead sister sat bolt upright, empty fish eyes locking to Ravenwood’s. A chilling smile spread Alethea’s blue lips. Crimson pinpointed the black irises. Any innocence that might have remained in the once Acolyte had perished. Like a spider, elbows and knees arched at odd angles, she crawled from the casket. Grave clothes clung to her pale, withered body but her breasts were exposed and bloody. She was horrible. Ravenwood wouldn’t give the monster the satisfaction of screaming. She bit her tongue hard enough to draw blood. The demon turned and stalked toward her, fangs dripping thick, green saliva. Terrified, she backed away, collided with a stack of old cans, sending them clattering to the ground. Insects climbed over her feet. Something slithered up her neck. She swallowed the horror and the bile burning her throat. The black dirt caressed her naked arms and legs and matted her hair. Trapped in the earth and in her robe, unable to claw for the surface, she held her breath until her lungs threatened to implode. Terror gripped her heart in an icy hand. 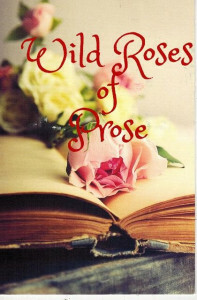 http://www.lindanightingale.com and while you are here check out my book pages on the tabs at the top of the page.